Zanzibar is a legendary archipelago in the Indian Ocean, 35 km off the coast of mainland Tanzania. It is just six degrees south of the Equator. Zanzibar is comprising the islands of Unguja and Pemba, along with a number of smaller isles. 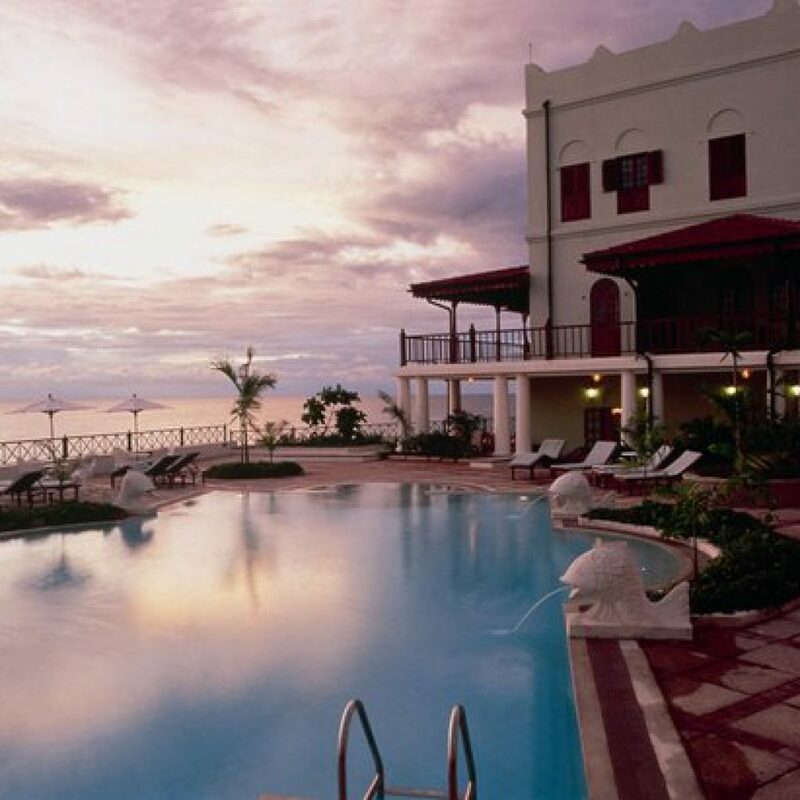 However, it is one of Africa’s most enticing destinations and exotic laid-back paradise. 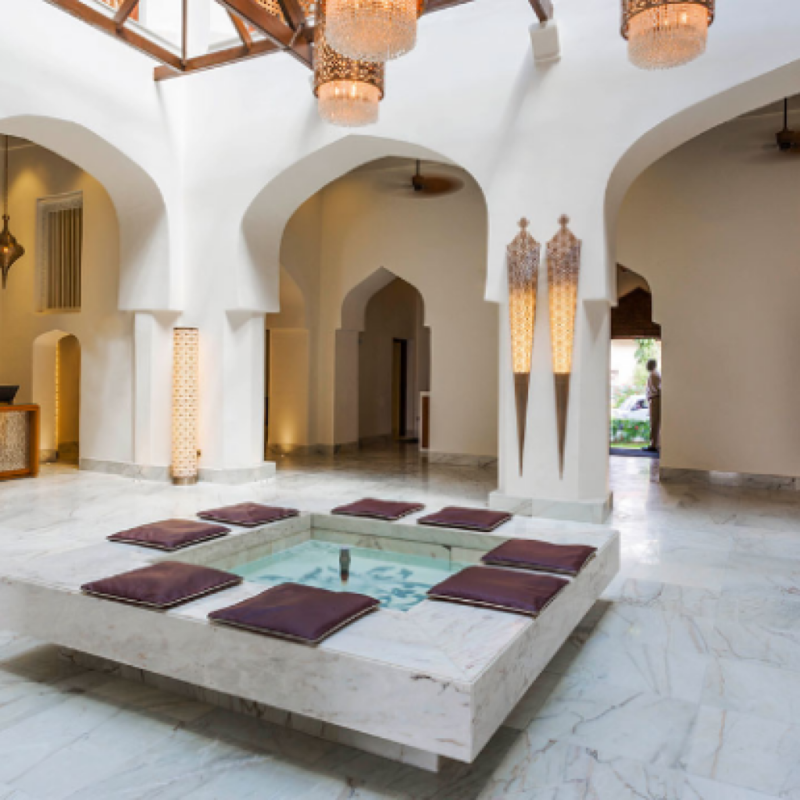 Zanzibar has miles and miles of white sandy beaches and translucent turquoise warm waters. Generally the climate in Zanzibar is warm all year round. However, the heat of summer (corresponding to the Northern Hemisphere winter) is often cooled by strong sea breezes. This is mostly associated with the northeast monsoon, particularly on the north and east coasts. Rains occur in November but are characterized by brief showers. Longer rains normally occur from March to May in association with the southwest monsoon. Unguja (also referred to as Zanzibar) is the largest and most populated island of the archipelago. 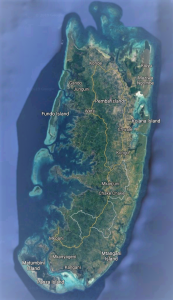 Unguja is a hilly island, about 85 kilometers long (north-south) and 30 kilometers wide (east-west) at its widest. The overall area is about 1,666 square kilometers and separated from Tanzania mainland by the Zanzibar Channel. Here you can find the International Airport of Zanzibar with Direct Flights from all over the world. Surrounded by a number of small islands, with only two of them, Tumbatu and Uzi, being inhabited. Unguja is the heart of the Archipelago. Unguja is also home of the capitol Stone Town. Here you see and feel the fascinating and turbulent history in its labyrinth of narrow twisting streets. Visit the bustling bazaars and historical monuments like The Old Fort, Sultan Palace or House of Wonders. UNESCO declared Stone Town in 2000 to a World Heritage Site with the words “it is an outstanding material manifestation of cultural fusion and harmonization”. Stone Town our capitol is UNESCO protected. It has a beautiful old town with historic sites, small walkways, public beaches, hence a unique vibe to experience. However, beside the classic walking town tour, do not miss a sunset cruise. Moreover, visit the tortoises on prison island and a enjoy a diner on of the plenty rooftop restaurants. Manga Pwani & Bububu & Chuini – famous for Slave Chambers, the Ruins of Chuini, but more over for our first and only Golf Course. A little bit further up of Stone Town is the West Coast, a beautiful part of our island. The region is dominated by cliffs and the biggest resort is SeaCliff Resort & Spa. You find a lot of recreation facilities in this area. From 9 Hole Golf Course to Squash or Horse Riding in the Ocean. However Chuini and Bububu is the quieter part of this region. Kendwa – well known for its breathtaking white long beach with its crystal clear turquoise water of the Indian Ocean. You can swim at any tide available – a unique position on Zanzibar. Kendwa has several hotels from back packer, Club Hotels, 5 Star Hotels but moreover a lot of water sport to offer. It is a very lively beach and hosts one of our famous returning parties – Full Moon Party in Kendwa Rocks. Nungwi – is after Stone Town the second biggest village in Unguja. Besides its old part as important fishing village, it has grown into the well known part of Zanzibar for tourism. Hence you can find here from 5 Star Hotel down to Back Packer Place every thing you can think of. Moreover, a lot of bars are along the very lively beach, which makes it the central place of the North. Generally you can swim here at any tide, but some hotels here are located on a cliff without a beach in high tide either. Ras Nungwi – the quiet sister of Nungwi, located on the north tip of Unguja. All Hotels here are on a cliff and overlooking the beautiful ocean. Compared to Nungwi will you find here beach only in low tide and have restricted access to the ocean in high tide. However is this the best alternative to be close to the lively beach of Nungwi but still in a very remote and relaxed area. Muyuni & Kigomani & Mnemba Island – this part of our island is dominated by the fascinating Mnemba Atoll with its private Island AndBeyond Mnemba. 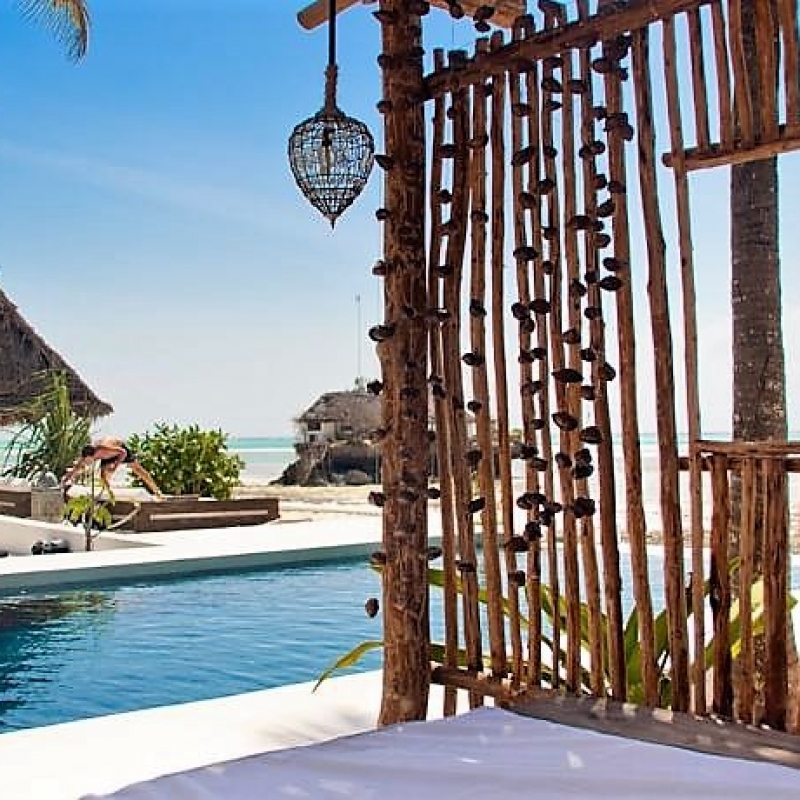 You have breathtaking views over the ocean and the island of Mnemba and definitely a paradise for divers and honeymooners, who would like to spend their holidays in small boutique hotels in a very remote place. As the reef is very shallow in this region, you won’t find any beach, unless you stay directly on Mnemba Island. Matemwe – is one of the best and longest beaches on our island. Along the beach you find a lot of smaller hotels, guest houses, back packer places and the one or the other medium size 4 Star hotel. This area is the perfect place for beach lovers, who don’t need to swim at any time in the ocean and the reef is wide and shallow. Pwani Mchangani – the extension of the beautiful beach of Matemwe. Here you can find only small guest houses, back packer places and the one or other small boutique hotel. In this region you will find a lot of kite surfers and also the famous Waikiki Party every Friday. It is a little bit more lively then Matemwe but still a place to relax. Kiwengwa – where all big resorts are located on the famous Kiwengwa beach. 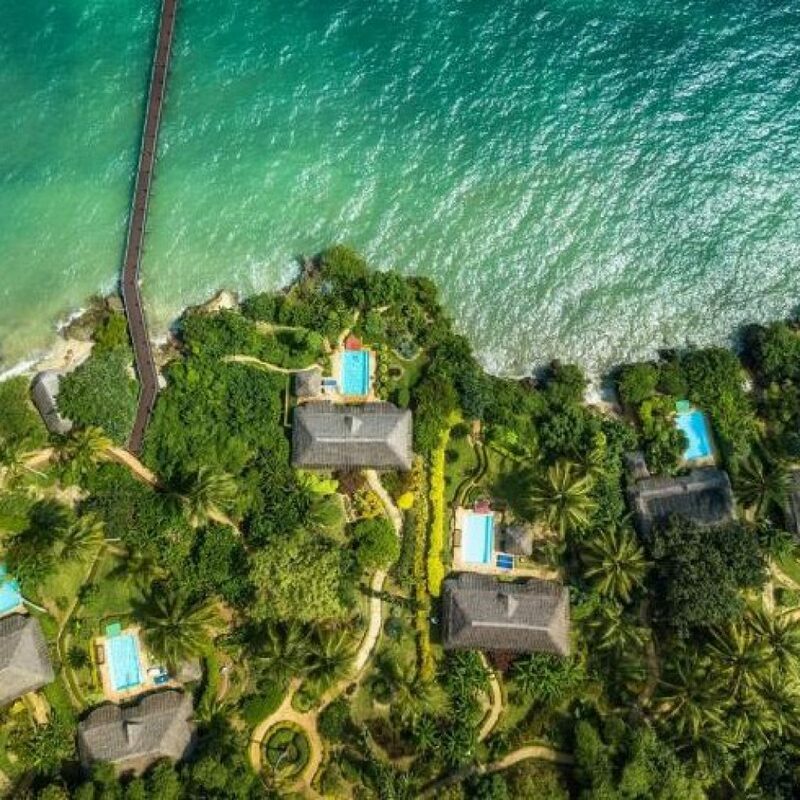 This is the area where you will find the bigger resorts in Zanzibar from Melia Zanzibar to Bravo Club. 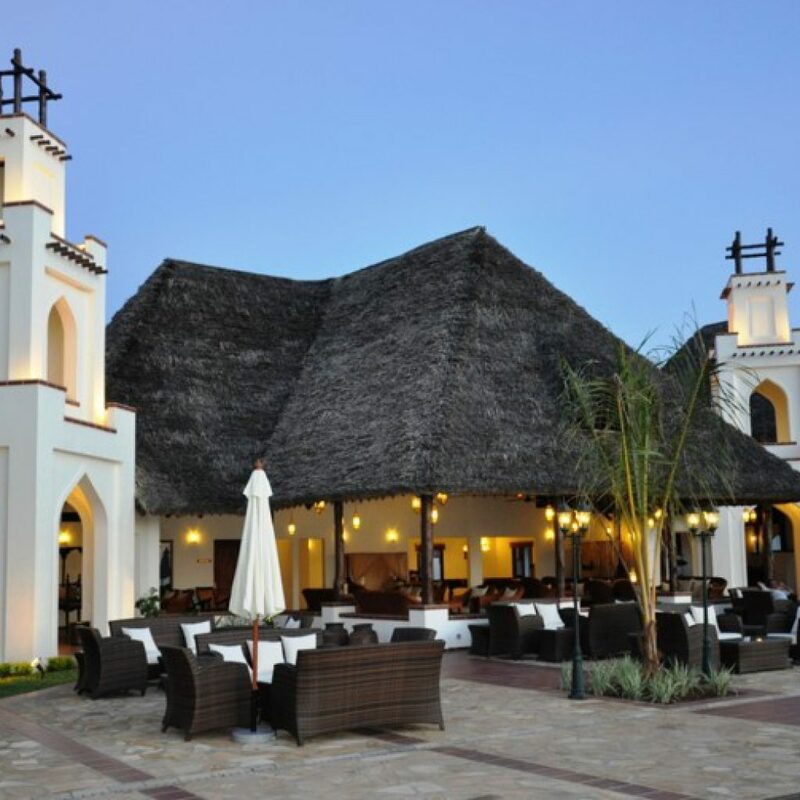 Kiwengwa has became a little busy village where you have bars, cafes, supermarkets, out door activities and many more to serve not only the All Inclusive guests of the resorts, but also the variety of guest houses, private villas, back packer places around these resorts. Pongwe – is a very quiet but incredible pretty strip on our coast line. All hotels are smaller and more boutique style and located on cliffs, with cute little bays always in front of them or close by. You will find here laid back luxury hotels as also nice 3 Star Hotels. 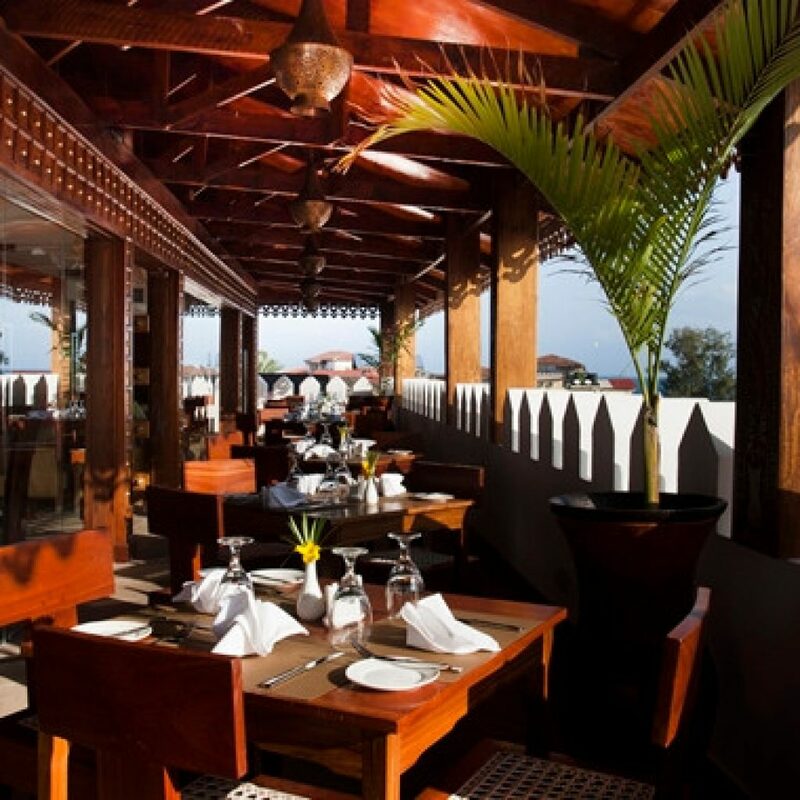 A visit worth is definitely Tulia Zanzibar, with an extravagant cuisine and the only water slides on the island. Uroa – is a small village near Chwaka Bay. Chwaka Bay is a very shallow bay with cliffs and almost no waves. You will find here from Back Packer Place to 3 Star Hotels everything what you need to relax. Having almost no waves means also that you will not find the well known white long sandy beaches at any time, but it is still a relaxing piece on our coastline. 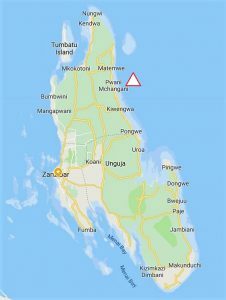 Michamwi – is the northern tip of our southern part of the island. It is located in the beginning of Chakwa Bay and therefor has usually very calm waters. It is still very pristine in this part of the island and you will find beautiful bays and beaches in front of the properties or close by. But please keep in mind, swimming in the ocean is based on the shallow waters not at any time possible. The hotels are 3 to 5 Star and some are very unique, for example Qambani. Pingwe & Dongwe & Bwejuu – dominated by the world famous THE ROCK, a tiny restaurant on a rock in the middle of the Indian Ocean. However, this region is for people, who love the laid back life style during holiday time. You find small luxury properties next to Beach Packer Places and also one of best Beach Clubs on the Island, Upendo. Paje & Jambiani – the kite surf Eldorados of Zanzibar. This part of Zanzibar is full of life with beach parties, kite surfers, night clubs. 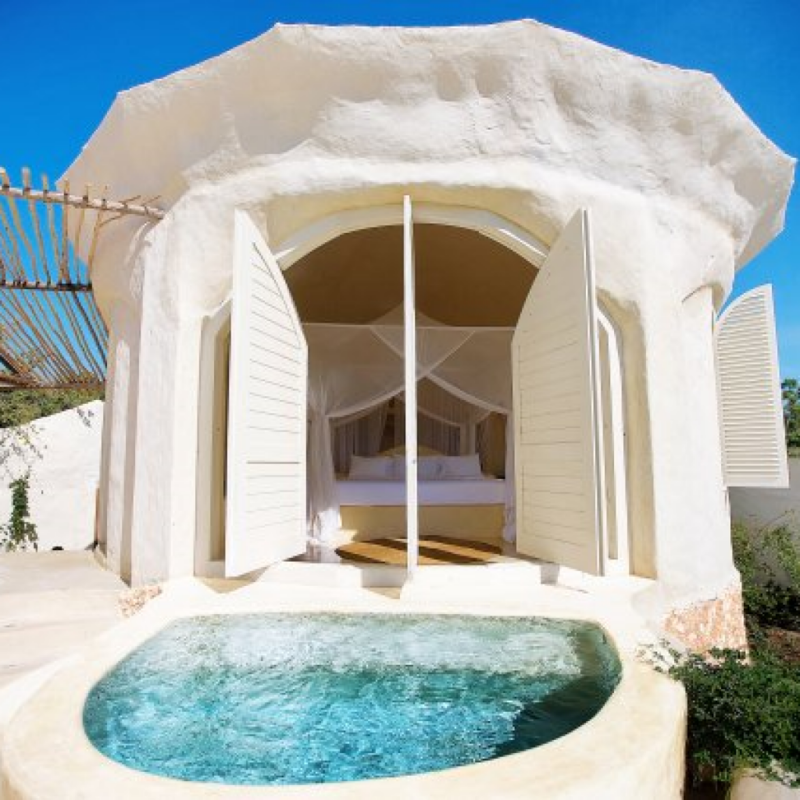 You can find here from Back Packer Place, private villas, apartments to super luxury properties everything one can think of for a very barefoot beach holiday! Get ready, the night is still young! Kizimkazi & Fumba – famous for Safari Blue Dhow Tours and the villa concept resort The Residence. Here in the South West you will find just a few hotels, as Menai Bay is more famous for its Marine Park. It is very remote here but nothing is more relaxing than to have your own villa with pool in front of the beautiful Indian Ocean. Pemba Island, known as “The Green Island” in Arabic (الجزيرة الخضراء), is an island forming part of the Zanzibar Archipelago, lying within the Swahili Coast in the Indian Ocean. With a land area of 988 square kilometers it is situated about 50 kilometers to the north of Unguja. It has a small domestic airport from where you can reach Dar Es Salaam and Zanzibar International Airport. Most of the island, which is hillier and more fertile than Unguja, is dominated by small scale farming. There is also large scale farming of cash crops such as cloves. Pemba is truly the opposite of Unguja as it is still very remote, pristine, not many tourists and just a hand full small hotels. It is very well known for diving and deep sea fishing. Pemba – Most hotels are on the West Coast of Pemba, which means you will see a beautiful sunset every evening. There are just a few hotels in Pemba, but 3 need to be mentioned. Fundu Lagoon in the South West of Pemba, well known for its laid back set up – like glamping on the beach. 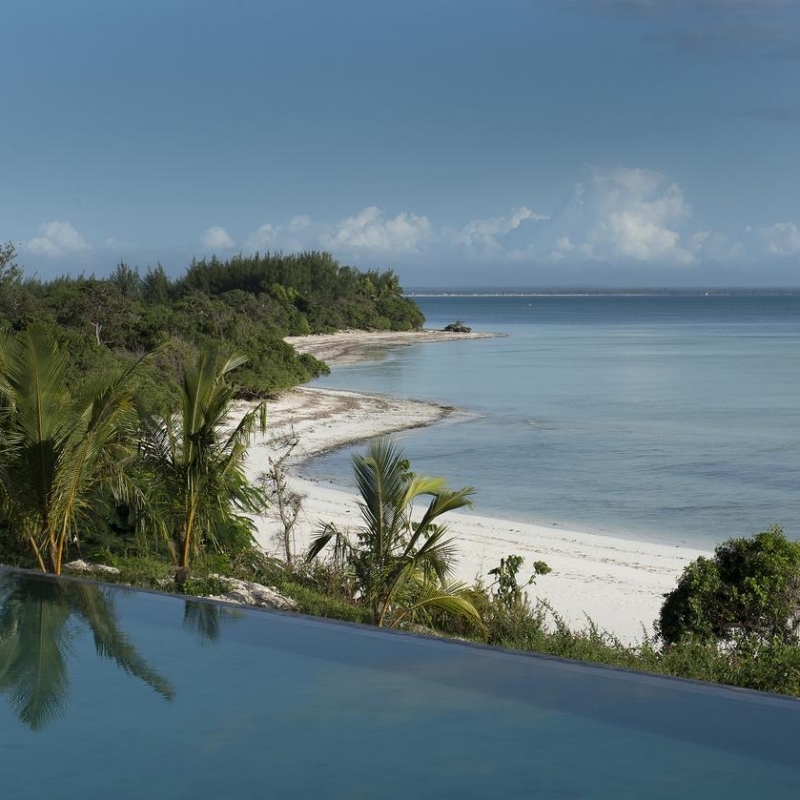 Constance Aiyana in the North West is the most luxurious and last edition to the hotels in Pemba. And last but not least to mention is Manta Resort which has the only under water room in East Africa.